EXTENSIVE INVENTORY: RS Matco, Inc. is your single solution when looking for a dependable boiler tube supplier. As a distinguished distributor of all major domestic and international tube mills, we are a leader when it comes to your high pressure boiler tubing needs. Our employees are veterans of the power generation industry and we understand the complexity of purchasing boiler tubing. Simply put, we understand down time is expensive. 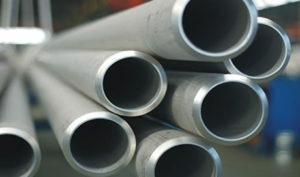 Our sole purpose is supplying all of your boiler tubing needs. 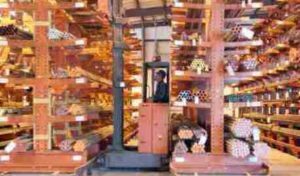 Through intricate analysis of market trends we maintain one of the most extensive boiler tube inventories in the world. Click here for a comprehensive list of our inventory and ASTM/ASME tubing specifications. Let us save you money on your next retrofit. In addition to standard stock sales, RS Matco, Inc. is your source for the “material side” of planned outages! We have also created a tubing resource guide, an amazing training tool for our customers to use. At RS Matco, Inc. we pride ourselves on customer satisfaction. You can be assured that our knowledgeable sales team will provide quick turn around on quotations. Have a question on your specifications? No problem, our product specialists are there to help solve all your boiler tubing needs. With fossil powered plants, forced outages and boiler tube emergencies can happen at any hour. RS Matco, Inc. maintains a 24-hour emergency hot line to meet after hour boiler tube requirements. Simply call direct to our office and you will be immediately transferred to our on call representative. 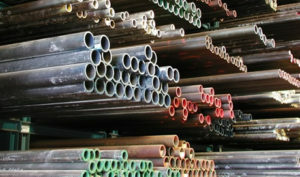 All boiler tubing is kept in our indoor storage facilities to ensure it arrives to your location in pristine condition. In addition to our standard stock sales, we provide Project Management Services and Strategic Stocking Programs. Please inquire with our Sales Team for additional information. Need boiler tubes prepped for field welding or cut to length? RS Matco can provide OD beveling and cut your boiler tubes to any length needed. All boiler tubing will have a continuous stencil per ASTM specifications. In addition to required ASTM stenciling requirements, RS Matco can stencil your Purchase Order # and Item # on your boiler tubing. Need special packaging for your Boiler Tubes? RS Matco can supply wood blocking, crating, capping and wrapped ends. We do a lot of oddball things, and whatever we’ve asked, Matco delivers. They’re good people to work with; they keep us happy and our clients happy. They’re knowledgeable, and their prices are competitive. They’ve got a lot of integrity … if they say they will do it, by golly, they do it. I want to express my gratitude for the support I’ve received from Matco. RS Matco was able to supply a demand that saved my facility a great deal of money. We are always looking for suppliers who can support us on a 24/7 basis. Thank you! Aging power plants need attention at the most inconvenient times. With a partner like RS Matco, we have been able to stay on target and limit down time. The latest example was when I called RS Matco and told them I needed tubing at my plant the following day! Since we are not “next door neighbors,” that is no small feat. Not only did they arrange to have the product available for pickup by a carrier; they found that carrier who not only made it by the required time but was early! Their calm and professional manner is a delight to work with. Our utility is glad to have RS Matco as a partner.